We are an innovative start-up that is specialized in Collaborative Robotics. We are an innovative start-up specialized in Collaborative Robotics. We have discovered that the automation of processes within companies can be simplified. Collaborative robots that work together with people will ease business processes and solve personnel shortages. WiredWorkers can integrate the cobots in the customers production process. Our software and hardware makes the cobots even more flexible and we can also deploy them as temp-workers. 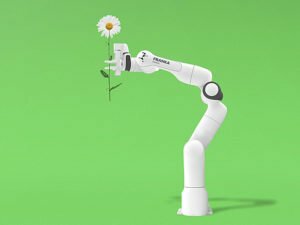 In addition, WiredWorkers also provides training for employees and managers so that they learn to deal with the cobots and integrate them correctly. Currently we are developing our own hard- and software which makes it possible to use cobots as tempworkers. We can provide you with a suitable solution for the entire process of automation with cobots. WiredWorkers helps you analyze your production processes to determine whether a collaborative robot can be integrated. Working with cobots requires new skills, we can train your employees to work together with cobots. 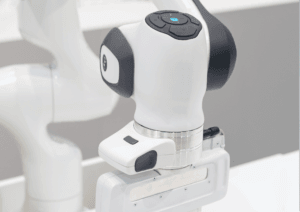 Starting with cobots in your production process. Unlike a number of years ago, cobots are now also accessible to SMEs. 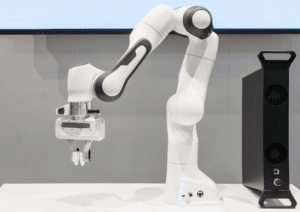 The cobots are nowadays much more affordable, so not only Multinationals, but also a medium-sized or large company can use cobots to lighten the workload. Because cobots are more easily programmable, a cobot can be used for any activity. When the cobot is needed at a different location in your company, new software and hardware will be developed for the new operations, without the need to purchase a new cobot. The cobot is super sensitive to the outside world. This has the advantage that employees do not have to worry when they accidentally hit the cobot, which makes working with a cobot safer.